Through partnership with Conference Rental, audiovisual / rental & staging companies gain access to important warehouse ressources to supply conference systems to their clients with quick delivery and onsite professional support for expert execution. Conference interpretation. We deliver the complete equipment package to enable simultaneous interpreting for all event sizes up to 31 languages and thousands of attendees. More: automatic video tracking for streaming, electronic voting, audio distribution, audio recording, and more. 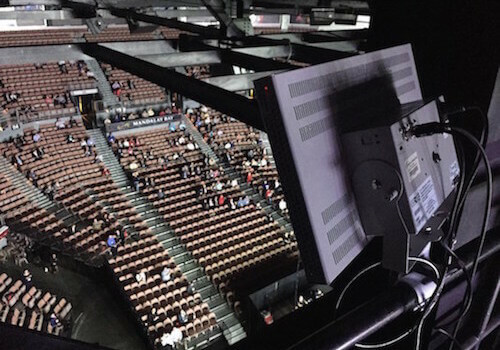 With the world’s largest inventory of digital conference systems, including advanced event technology solutions such as the video microphones, we can accommodate the largest conferences and meet all expectations for quality and reliability. With numerous equipment warehouses across North America and Europe, we offer quick and easy access to technology solutions for conference-style events, regardless of location. You can count on our expertise to ensure impeccable project delivery and client satisfaction. Contact us today to learn more about our services for audiovisual companies and support including bid management, design, project planning, onsite conference engineers, and more.